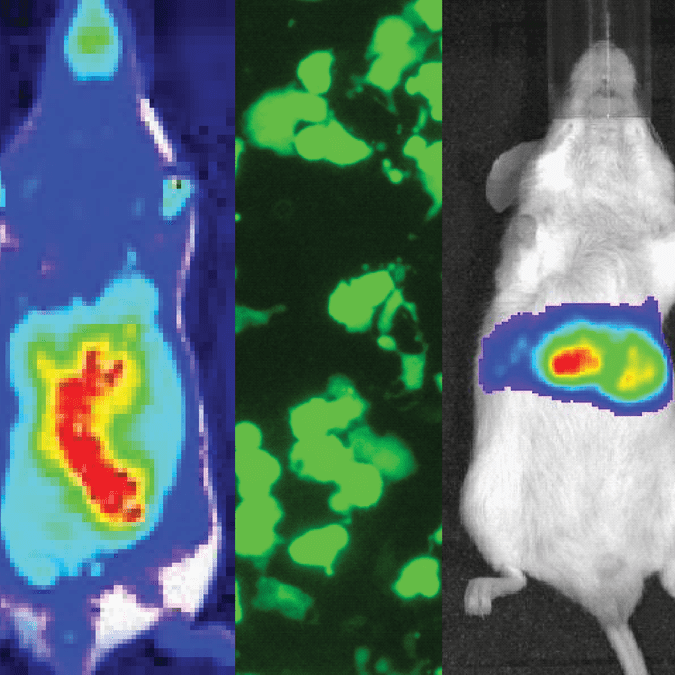 SBI’s lentivector-based imaging systems offer safe, stable, and effective gene delivery in virtually all mammalian cells in tissue culture and in whole animal models. The CMV-GFP-T2A-Luciferase Lentivector for In Vivo Imaging leverages SBI’s well-regarded lentivector technology for either transduction or transfection of the reporter into target cells. Because the vector becomes integrated into the genome, you can use this vector to create stable reporter cell lines. The vector co-expresses copGFP and luciferase from a CMV promoter for strong expression in most common cell types, such as HeLa, HEK293, or HT1080, with co-expression mediated by a T2A element. Available as either a plasmid or pre-packaged virus.